Question: Swimming Pool Water Not Holding Chlorine Levels? Ah, yes… a question about a swimming pool not holding its chlorine residual came in recently and we must say that it took longer this year than usual. Hi – We just got a pool put in (a 24′ round) and it does not hold any chlorine. We pour a gallon in at a time and test the next day and we have almost no chlorine showing up and also our water stays cloudy. What are we doing wrong? Thanks. Annie. Well, Annie, we will start with the type of chlorine you most likely have: liquid. Sodium hypochlorite works very well as a chlorinating agent, disperses into pool water seamlessly, and has a relatively low cost (usually around $2 per gallon if bought in 5 gallon jugs). If you have not already added pool stabilizer (cyanuric acid), you may want to do so pretty soon. We do, of course, suggest you test your pool for cyanuric acid before adding any chemicals… in case some other, more insidious reason exists for your pool not holding a chlorine level. Unsure as to how you can test pool water for cyanuric acid? You can take water to your local pool store, use a liquid test kit or use something like the 6 Way Pool Check test strip. By any chance do you have a fair amount of leaves, tree branches, dead animals, dead neighbors, or other debris in the water? If so, the chlorine will act like a human and choose the easiest (biggest) target to attack rather than go after smaller, harder to attack targets. Get the debris out right away. The cloudy water in your pool may come from poor water circulation and/or filtration as well as the low chlorine level you initially inquired about. 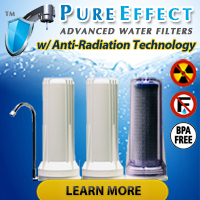 Until you clear up the water, try running the filter 24 hours a day if you do not already do that. If after running the filter a full day you do not see an increase in pump pressure on the gauge attached to the filter and/or the strength of the jets pushing water back into the pool has not diminished, you may have filter problems. Now on the other hand, if you DO see increased pressure and diminished return jet strength, backwash the filter and it will begin collecting more junk from your water at a faster rate. Granted we cannot possibly address Annie’s problems completely since we do not know all of the factors affecting her water condition, but the we have personally used slight variations of this advice to help quite a few people clear up their pool water. Remove large debris from pool, if present… especially any dead bodies. Test stabilizer level and adjust if needed by adding cyanuric acid per the instructions given by the chemical’s manufacturer. 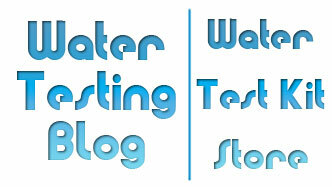 Test other critical water parameters such as pH, Alkalinity, Copper, Iron, Hardness, etc. and make corrections as needed — per instruction(s), of course. Add more liquid chlorine… roughly 1 gallon per 10,000 gallons of pool water. Run filter 24 hours a day until problem clears up. Backwash filter when necessary to improve filtration and water circulation. Never hesitate to go in and pester your local pool store employees for pointers, free water testing and advice. They relish the opportunity to snicker behind your back because they cannot believe you cannot figure out what pool chemicals you need… but try not to let that deter you because they know a lot about how to properly maintain pools and generally give good advice! « Question: TDS Meter for Use in Gas Drilling Region?